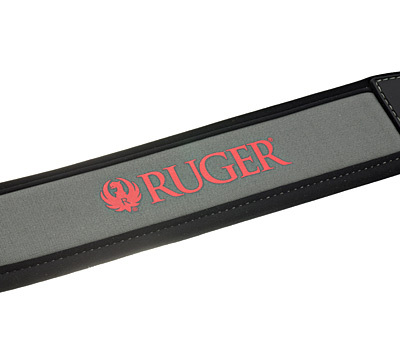 Ruger branded black and gray neoprene padded shoulder sling has an ultra-light weight design. 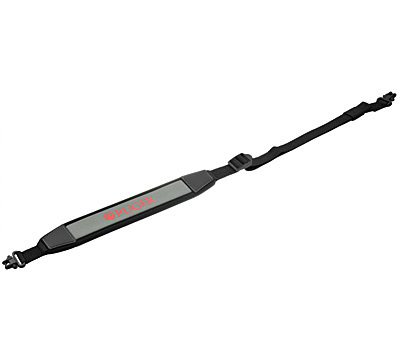 Features include a non-slip backing, rugged binding, a heavy duty 1" web, quick detach swivels with locking system. Made by The Allen Company. WARNING: This product can expose you to chemicals including Lead and Lead Compounds which are known to the State of California to cause cancer and birth defects or other reproductive harm. For more information go to www.P65Warnings.ca.gov. This is an excellent sling because of its design, quality of materials, workmanship, performance, and value. 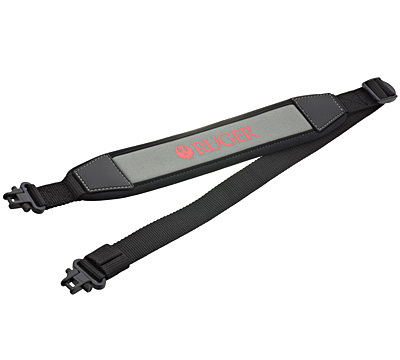 The sling has a compact and light weight design. 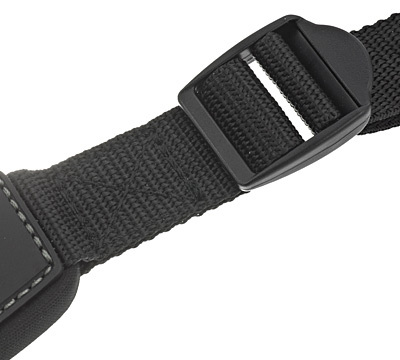 The stretchy material makes carrying a slung rifle more comfy in the field. The grippy liner prevents the sling from sliding off ones shoulder. 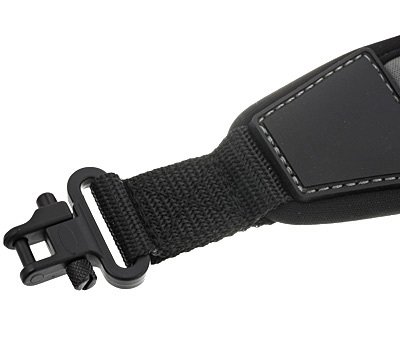 The whole sling is well built with fine stitching. It feels light but strong and durable. The built in swivels are high quality and lock up solidly. The sling works and looks great and I wish Ruger offered it in camo too. I got this sling to use on my Ruger American Predator. Just took it out on the trail to drop a hog, and I have to say, I could barley tell I was carrying the rifle! The padding is comfortable, and the sling is strongly built. Purchased one for my mini 14.. Fits perfect and very comfortable. I bought this sling for my 10/22 well over a year ago and have been very happy with it. The sling feels good on your should and looks great too. I plan to order a second one soon for another rifle.